The sociologist Janet W. Salaff has passed away at age 69, according to her department in Toronto and her mother’s hometown paper. I did not know her, but I am very familiar with a single article she published in 1973, shortly after completing her PhD at Berkeley. 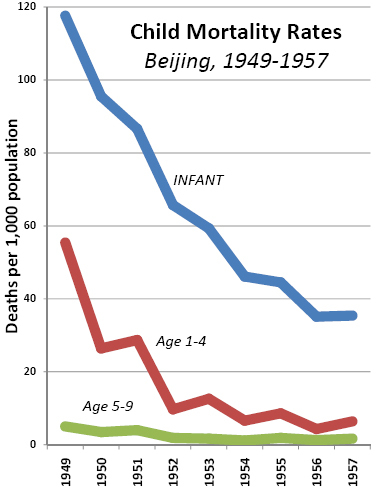 In that paper, published in Population Studies, she reported in highly technical terms on the dramatic declines in mortality experienced in post-revolutionary China. She challenged the common perception that health and mortality statistics from local medical teams and journals were not trustworthy, and she showed that China had achieved in less than a quarter century what the U.S. had done in about 100 years — drastically reducing mortality through public health innovation. Their approach was massive application of low-technology, labor-intensive public health campaigns to educate the public as well as prevent and treat common sources of illness and death. It was cheap and quick, and highly effective. There is a historical context to that work, and her career, that is unique and worth contemplating. At the time, a cohort of (mostly) female feminist demographers and social scientists were breaking into Western academia. 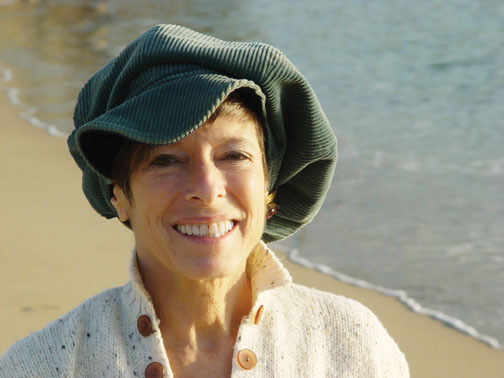 (I previously wrote about one of them, Valerie Oppenheimer, who passed away in 2009.) As they were entering the academic scene, China was making such dramatic progress — especially in the fields of public health, education, and women’s rights — that a number of them were motivated to research and publish on the changes underway. Some of the flavor of that time is evident in a review essay that Salaff published in Contemporary Sociology, on three books from 1983: The Unfinished Liberation of Chinese Women, 1949-1980, by Phyllis Andors (who died at age 50 in 1992); Women, the Family, and Peasant Revolution in China, by Kay Ann Johnson, a professor at Hampshire College; and Patriarchy and Socialist Revolution in China, by Judith Stacey, now at NYU. Salaff described the set of books as “sober reflections of how a complex development process both limits and enhances women’s status,” and provided a balanced, theoretical description of the issues and controversies raised. I would include in this rough cohort several other women I don’t know. Ruth Sidel, now at Hunter College, wrote a series of books: Families of Fengsheng (1975), Women and Child Care In China: A Firsthand Report (1976), and The Health of China (1983). In Britain, Delia Davin, now an emeritus professor at Leeds, started her career teaching and translating in China in the 1960s; she wrote, Woman-work: Women and the Party in Revolutionary China (1976). Elisabeth Croll, who got her anthropology PhD studying China in 1977 and wrote Feminism and Socialism in China (1978), and died in 2007. A number of these women moved away from studying China. Their recent contributions include Sidel’s Unsung Heroines: Single Mothers and the American Dream (2006), and Stacey’s Brave New Families: Stories of Domestic Upheaval in Late-Twentieth-Century America (1998). Davin and Croll, along with Salaff herself continued to study Asia. Salaff’s most recent book was Hong Kong Movers and Stayers: Narratives of Family Migration in 2010 (with Siu-lun Wong and Arent Greve). From an academic life-course perspective — or the sociology of sociology — it is interesting to see where this early work led them. I imagine them as being imprinted by the experience — though I’ve never discussed it with them. It is hard to remember (or imagine) now how different it was to be a student in the social sciences when there was such an active debate and analysis of socialism as a legitimate alternative mode of social organization — and especially in the context of gender inequality. Today’s first-year college student was born after the Berlin Wall and Tienanmen Square. But maybe one of today’s graduate students will write the history of the Western feminist academics who cut their teeth, and tested their ideals, on the Chinese revolution.